An end comes to the the reign of snow. Bright hues take from the drawer. Life's new chance knocks at the door. If your spirit sometimes feels a bit bruised these days, you're not alone. There are not a lot of good fixes that will harden our spirits without closing us down. But there is solace. For me, one solace is creating useful items that are also beautiful in connection with the natural world. It can be difficult to find the time, but well worth it when you do. Carve out a little time, brew some tea, light a candle and get out supplies. I have several crafts here to suit the materials on hand. Each one helps to ground and renew the spirit. These crafts are inspirations for Ostara/Spring Equinox/Easter crafts that are not actually made with an egg shell for a change. These are easy crafts individually and can be handled by a frazzled mom and kids, at least by this one, or by those without a ton of craft experience. And yet they are real crafts with tangible and useful results. I include crafts in my blogs because I am often frustrated by the craft sites online that seem to give no thought to how hard it is to fit these things into everyday life, especially when you have little ones. I include here both realistic instructions and my own learning experiences in hopes that others may be saved the hassle. This is from an easy melt-and-pour soap recipe but can be used even if you're making your own lye soap. I used a moisturizing, clear glycerin soap base. I was frustrated with the soap we buy at the store that dries our skin and doesn't smell all that great. Also my daughter is always begging to buy expensive colorful soap and this is healthy, quick, easy and cheap. Heat in a pot devoted to soap and candle making on a low heat. Prepare a box (plastic or paper lined with plastic) or soap molds if you have them. I used a paper handkerchief box lined with wax paper. When the soap has thoroughly melted in the pot, add a few drops of food coloring. Just a few! Mine came out a very rich color and that was probably only three drops. (We used purple for luck, independence and psychic connection and because my daughter wanted purple. Other great spring colors are green (for prosperity and success), yellow (for happiness and imagination) and light blue (for peace and tranquility). Add 20 to 40 drops of essential oils (depending on your sensitivity to fragrances). We used mint (for happiness and spring renewal), pine (for healing, protection and fertility), geranium (for spring love and joy, as well as not incidentally an excellent repellent for tick season) and a touch of lavender (to dispel any lingering winter doldrums). This is what I call the spring-in-your-step soap fragrance. Add a handful of ground or finely chopped and crushed herbs. I use lavender flowers, which are pretty so I don't entirely grind them up. They give the soap a nice scratchy, scrubby texture which helps clean off the dead skin that accumulates over the winter (defoliation). And it adds lovely natural beauty. Stir the herbs in well. Pour the melted soap into your prepared box or molds. Let it sit for at least three hours or overnight. Remove it from the molds. It slides right out. Then, if you have used a box like I did, cut the soap into bars. I recommend making smaller bars than you would normally buy in the store because glycerin soap, which is healthier than the stuff you usually buy in the store, softens faster in damp conditions in the bathroom. A smaller bar will end up wasting less soap and you'll replace it more often. Wrap the bars in plastic wrap to store. The one mistake I made in this process the first time around was not wrapping up my soap. It dried out and cracked a little over time. It was still quite usable but not as pretty. Plastic or wax paper will work better. Paper often sticks to the soap. Time for a luxurious spring bath! This is a craft for my kids who love painting. It makes beautiful home decor, something to put on the wall above the table or in place of a wreath on the front door for spring. And it's a very forgiving craft. Even a toddler can make a beautiful spring egg if given bright colors and an egg shape. Mix salt dough (A cup of flour, a cup of salt, 2./3 cup hot water, a table spoon of oil) and roll out thin. Use a large shape cutter or a knife to cut an egg shape about as big as your outstretched hand. Use small cookie cutters to cut out shapes from the inside (butterfly and flower cookie cutters are great but small circles and diamonds are fine too). Save the cutouts to glue on in other places on the egg shape. Bake on low heat or air dry for several days. Paint with bright and pastel colors. Use glue or a glue gun to place the cutout shapes on the egg. I'm crazy about candles in general and celebrating the Wheel of the Year I love to have candles specifically designed for various occasions. One way to do that is with color and scents. But I also wanted to find a way to make candles in various shapes. I am also a cookie-cutter enthusiast, so I figured I could make candles in cookie cutters one way or another. So I started experimenting. As you can imagine, the first experiments resulted in a lot of wax running all over the table. I suggest using paraffin wax, not beeswax for these candles. Beeswax will stick in small crevices of cookie cutters and be hard to remove without breaking the candle. Beeswax is also harder to remove from your table. With paraffin wax the old adage your mother probably told you really does apply: Don't touch it until it's cool and it will come right off. After several more experiments I found that if you place a piece of wax paper over several layers of soft paper towels, you have a slick and wax-proof surface that is also slightly soft. When you go to pour your melted wax, you press down hard on the cookie cutter and it cuts into the soft surface, trapping the wax inside. Pour only a quarter-inch of wax and then wait and blow on the surface of the wax. You should be able to release it without the wax spilling after 30 to 60 seconds, depending on how much wax you have poured. Let that candle sit and move on to your other cookie cutters or molds until the thin layer of wax in the bottom of the cookie cutter has more thoroughly cooled. Then position a wick in the middle of your candle and pour in a little more wax. Hold down the cookie cutter and wait a bit, holding the wick in place. The cooled wax at the bottom will remelt somewhat so if you bump the cookie cutter, you could have it all spill out. But it will only melt a little and mostly it should stay. Once you have your candle half full and slightly congealed, you've won. With that candle at least. Top off the candle as high as you can go and making sure the wick stays central and upright. Grease your cookie cutters with cooking oil before use. I haven't had much trouble getting candles out of the cookie cutters but a little oil helps it slide. Don't worry if your cookie cutter molds leak. Just don't lift them up. Let spilled wax cool and keep pouring. The leaked part will serve as a dike and eventually your candle will get full. Then peel the spilled wax off the wax paper and put it back in the pan to remelt. No harm done. Just keep hot wax off your clothes and skin. Set grated or cut paraffin wax in a pot on low heat to melt. Select theme-appropriate cookie cutters as molds and grease them with a little cooking oil. Deep cookie cutters are better but even a very short candle will burn and look pretty. Lay down three or four layers of paper towels and cover with a sheet of wax paper. Place cookie cutters on the wax paper. Ready short pieces of wick about an inch longer than the depth of your cookie cutters. When the wax is fully melted add essential oils for fragrance. For spring I enjoy lemongrass and rosewood. And add wax colors, if you have them. Do not use liquid food coloring. I actually tried it and it does not work at all. Hold a cookie cutter down firmly. Pour a quarter inch of hot wax into the bottom. Continue to hold for 30 to 60 seconds. Then release and repeat with remaining cookie cutters. Return to the first cookie cutter and place a short piece of wick upright in the center. With some luck it will simply stick into the congealing wax and stand up without being held in place. Repeat with remaining cookie cutters. Once the wax is visibly congealing, pour in more wax little by little to allow time for the wax to congeal. Hold wicks in place as you wait for the wax to cool. Top off the cookie cutters as much as possible. There is no need to leave room at the top. The wax slightly contracts. As the wax cools, peel off spilled wax and return it to the pot for reheating. You can use this method to make themed candles for many holidays. My favorites are sun, star and moon shaped candles, leaves, eggs and flowers for the spring, fruit and animals for the summer, acorns and deer (reindeer from Christmas cookie-cutter sets work great) for the fall, and trees, stars and suns for winter. I hope these craft ideas are helpful or at least inspiring. Please share this post with interested friends. 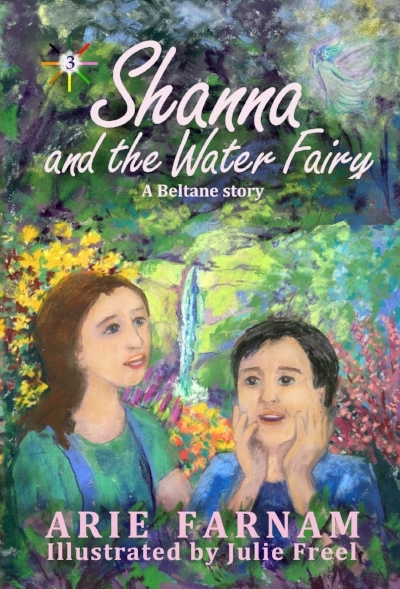 You may also enjoy the children's chapter book with illustrations by Julie Freel that I have for Ostara. 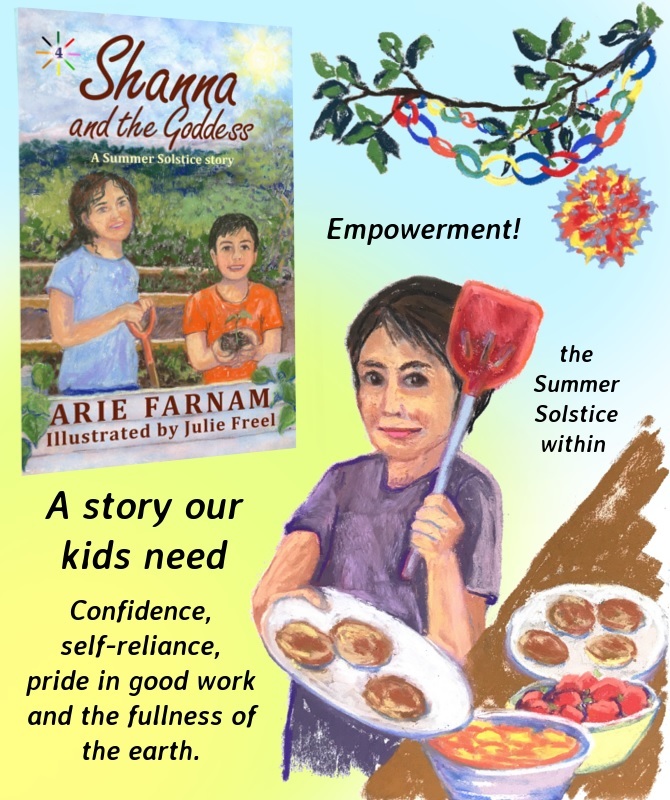 It is a story for kids ages six to twelve that centers around the Spring Equinox and deals with the difficulties of new beginnings, friendship and learning about diverse cultures. It is primarily a fun book for kids and my kids won't put it down, but it also contains ideas for natural egg dyes and other spring celebration plans. Blessings of spring renewal to all! Many Ostara/spring equinox crafts for kids and adults come out looking suspiciously like Easter crafts. And well, obviously there are good and honorable reasons for that. But still... sometimes you get a hankering for something entirely earthy. I love early spring with its scents of seeds swelling and soil thawing. Even before the equinox I can feel the tension of it, like a bow string taught and ready to release an arrow. This calls for a craft with strong earth and birth symbolism. I am definitely attracted to the idea of crafts that involve filling egg shells with earth and growing either grass, herbs or a small flower in them. But there is yet little sunlight at our northern latitude before the equinox and my egg pots usually come out looking pretty pitiful, rather than like a glorious celebration of spring. And that's if they sprout at all. A nice alternative for those without either the sunlight or the green thumb is to make egg candles for Ostara. This craft fits nicely in with the Imbolc period of candle-making before Ostara and if you use beeswax, the result is wonderfully grounded and primed to boost rituals for fertility, creativity, rebirth and growth of all kinds. I was intimidated about candle-making for far too long, believing it was a craft only for those with a lot of experience and time on their hands. But at last, I was delighted to find a simple method that really doesn't take much time at all. 1. Cleaning the egg shells: First, the next time you cook with eggs, crack your eggs by carefully tapping the smaller end of them, rather than the middle. And then use your fingernails to peel back bits of the shell until you can dump the contents into your cooking container. Carefully chip away the shell until you have an opening only at the top of the egg, leaving most of the egg shell intact. Wash the egg shells with warm water and leave them out to dry for a few days. 2. Gathering your supplies: Meanwhile get together everything you will need. First, you'll need a pan for melting wax. I recommend using something you won't be cooking food in, but I do use my pans that for making medicinal salves that also use wax. Wax residue just isn't good in soup. You will obviously need some wax. Beeswax is best but any kind of candle wax or even the stubs of old candles will do. If you want to color your candles for Ostara-pink, green and yellow wax colors are perfect. You will also need wicks. These can usually be bought at any craft store. The kind with small foil circles at the bottom are best for this. Otherwise, you'll need a wooden spoon, paper towels, wax paper and some small sticks or chopsticks. 3. Melting the wax: Heat your wax over a low heat on the stove, stirring occasionally. If you use low heat you don't need to worry that it will burn. Just don't leave it long enough that it starts boiling rapidly. Skim off any debris that may have been in the wax. 4: Setting up your candle molds and wicks: While the wax is heating, set your eggs (now candle molds) upright, probably in an egg carton. Place a wick into each egg with the small disc at the bottom. 5: Pouring the wax: When the wax is uniformly liquid, carefully pour it into your eggs. You can use a dipper but that too will become coated with wax. I also recommend putting wax paper under your eggs to catch drips of wax. Wax, particularly sticky beeswax, is rather difficult to clean off of surfaces and particularly hard to get out of fabric. It also burns the skin, so be sure to have small children stand clear of the immediate area while you're pouring. 6: Holding the wicks in place: Now here is the only slightly tricky part. As your egg candles cool, you want to keep the wicks in place with the bottom of the wick at the bottom of the egg shell (not floating up) and with the wick coming out of the wax in the middle the hole at the top of each egg, rather than along the side which will be its natural tendency. 7. Cleaning up: This is one craft where a specific note on cleanup is appropriate. Most commercial candle wax comes off of hard surfaces if you just let it cool and then peel it off. You can remove it from clothing by placing paper towels under and over the cloth and then ironing well. But beeswax can be a bit stickier and doesn't always come off well. The thing to remember is that beeswax and other waxes will also come off with heat. This is why I recommend keeping paper towels on hand for this craft. As soon as you are done with your pot and spoon, wipe them well with paper towels while they are still hot. (That part of this step should be done before you even hold your wicks in place.) You can also use paper towels to wipe dripped wax off the outside of the eggs if you strike quickly while they're still hot. But if you drip wax on a cool surface (such as the table) leave it alone until it cools completely. If you do end up smearing wax on the table, use a rag soaked in hot water. 8. Decorating: You can paint the outsides of your candles or tie ribbons around them. To hold them upright, either drip a bit of wax onto a hard surface and place the candle firmly on top, pressing down gently until it cools and the candle stays upright, or you can fill a bowl with rough sea salt, sand or rice and place the egg candles upright in it. Dry (uncooked) rice with green food coloring gives a nice spring touch. 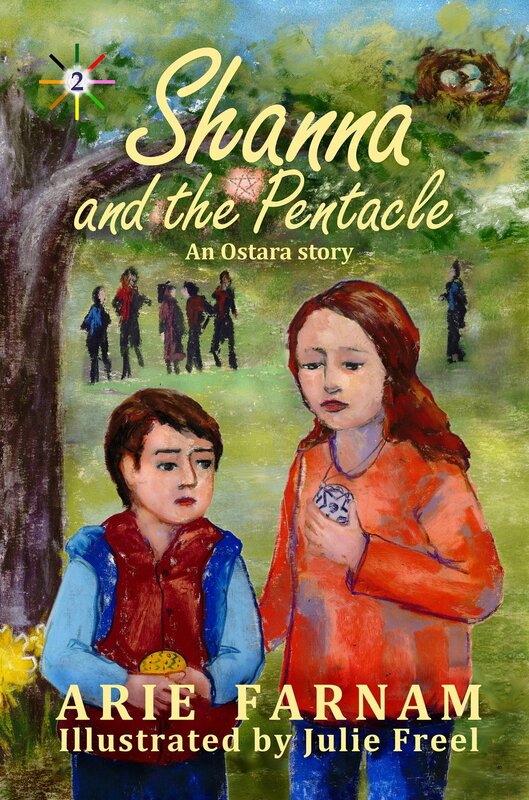 If you would like more practical Ostara crafts and ideas for earth-centered families, take a look at the kid's adventure book Shanna and the Pentacle. 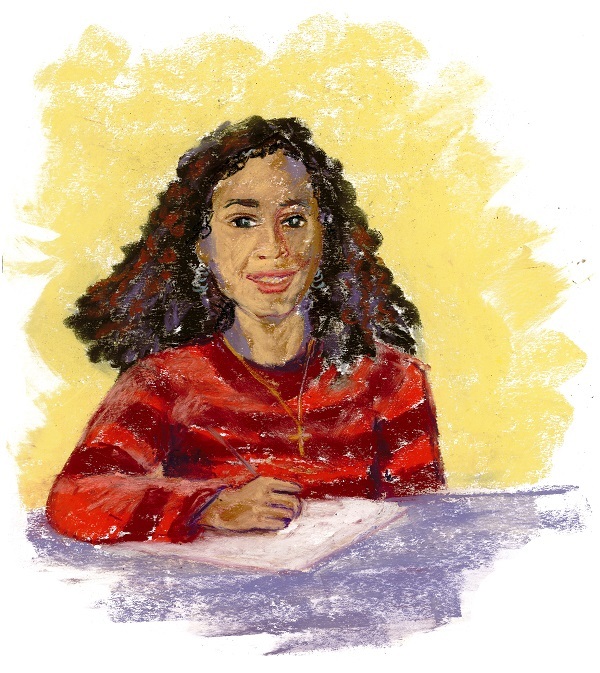 It includes craft ideas for this holiday as well as the story of a sister and brother who move to a new school and learn about cultural diversity and standing up for their own beliefs. Today many of us wish to connect to the cycles of nature. In our houses, jobs and schools, it can be difficult to feel a purpose in life. We lose touch, lose connection, and find ourselves drowning in everyday apathy or anxiety. There is an antidote in marking the rhythms of nature and feeling closer to the earth and the seasons of the sun. It isn’t just a nostalgic hippie concept. It’s a spiritual practice and a way to explore the huge questions in life in a way that doesn’t contradict science. For those of us who think too much, there is often a tension between the need for a spiritual sense of meaning and our logical insistence that what you see is what you get. The turning of the earth and the moon, the tilt of the earth and the seasons brought by sunlight—these are things science has well in hand. We know the sun will rise, just as we know bad days have only twenty-four hours. We know winter will come, just as we know that each of us has to get old someday. The rhythms of nature are simple and scientific. And at the same time they are profound and at the root of the greatest philosophical and spiritual traditions of humanity. The cycle of life is much larger than the circle of a year, but the whole is too vast—and frankly too harsh—to explain to children or even to contemplate directly as an adult. But we don't take in the circle of a year all at once. We come to it bit by bit. And we don’t have to contemplate it with the mind only. We use all of our senses, our body, heart and soul to perceive natural rhythms and the Wheel of the Year gives us the understanding we cannot gain through force of will. As the earth tilts toward and away from the sun, we experience seasons. At the point when our part of the earth is tilted furthest toward the sun, we have the Summer Solstice--the time of greatest light. And when our part is tilted away we have the Winter Solstice. After each solstice we start to lean the other way. From light to darkness. And from darkness to light. In the ancient tradition of the Celtic-Germanic-Slavic land I live on these solstices can be called Litha (for the Summer Solstice) and Yule (for the Winter Solstice). These are the best modern terms we have, originating from ancient European languages. Other cultures may have other terms for the solstices and the other sacred days of the wheel. My goal is to include the whole world and other terms are welcome. Between these special days of the sun, there are the days when the light and dark are in perfect balance—the equinoxes. In the fall we call the equinox Mabon. In the spring we call the day of balance Ostara. If you make a cross and put the solstices opposite one another at the ends of one line and the equinoxes on the other axis, you have an ancient symbol of the sun. And if you make an X inside the cross, you then have a star with eight points or a wheel, the base of a mandala pattern. The four new points are for the days halfway between the equinoxes and solstices. Beltane on the first of May in the northern hemisphere (November in the south), Lammas at the cusp of August in the north (February in the south), Samhain on the first of November in the north (May in the south), and Imbolc in the earliest days of February in the north (August in the south). And that is what is called the Wheel of the Year. It is a way of celebrating the rhythm of life and it starts as a recognition that there is darkness, release, relief, creation, expression, harvest, destruction, transformation—in natural and perpetual turning. When you mark the seasons of the year as sacred, your body, mind and soul reclaim their own rhythms. It doesn’t mean that you don’t suffer from life. But it connects you to the good in each season. There are many ways to celebrate the Wheel of the Year. We often cook special foods and exchange gifts. There are fun traditions for the whole family to enjoy and quiet observances for those who seek spiritual sustenance. One way to mark the sun days is to connect to the diverse spiritual teachings of our world through the myths of sacred women—the Goddess—and the many names for goddess in different tongues. Marking the holy days with goddesses can be part of an active and vibrant family celebration or it can be a simple and quiet moment of meditation for an individual. The goddesses chosen for a sacred day should reflect the spirit of the season in their stories. Here I will suggest three goddesses for each of the solar holidays. As in many parts of the world, you can see goddesses as maidens, mothers and crones. There is a Maiden Goddess, a goddess full of independence and youth; a Mother Goddess, a nurturer and life-giver; and a Crone Goddess, a wise woman of healing and transformation--for each station of the sun. My year begins in mid-winter because of importance of the alternating rhythm of the growing season and the time of greater contemplation and inner work. I also wish to start the year with the goddess I am closest with—Brigid. Our family Imbolc celebration usually includes a small, child-friendly ritual, sweet dumplings made with milk curd, seed cakes, many lit candles and candle making, candle-shaped cookies, Tarot and i-Ching readings, putting wishes for the year into a jar, hanging new Brigid’s crosses and waking up the Brigid doll sleeping in a basket by the fire on the morning of Imbolc. It may also include a trip to a spring or old well if we can manage it. Brigid is the maiden of Imbolc and though she is also mother and wise woman in other aspects (Weber 2015), I can add mother and crone goddesses to this day as well. Elli is my crone of Imbolc. 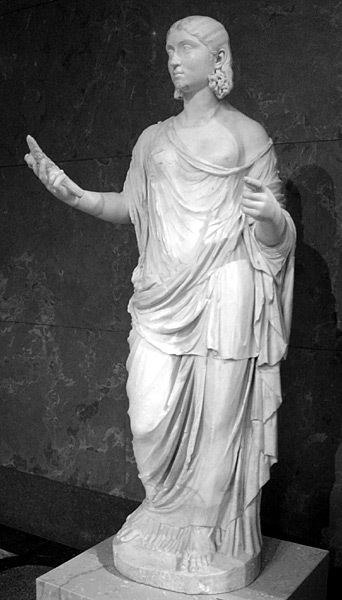 She is the goddess of old age and wisdom and yet I find the story of her beating Thor in a wrestling match (Auset 2009) to be wonderfully light-hearted. She reminds me of an old granny sitting by the Imbolc fire and laughing over her exploits and the folly of head-strong young people who think they will never be old. A symbol of her might be a shawl spread over the rocking chair by the fire and a story read from the children’s book of Grandmother Tales that portray old women as smart and capable. I can envision these three—Brigid, Saulė and Elli—discussing the needs of family and kin, planning fo the year ahead and tempering one another with their complimentary energies of fire, compassion and wisdom. Our Ostara tradition is usually fairly simple. We color eggs, decorate and make egg and bunny shaped cookies. Then the children hunt for eggs on the morning of the equinox. In local tradition, we decorate a leafless tree in the front yard with colored eggs and ribbons. We may read rabbit stories or other stories relating to Ostara. We’ll usually have a special lunch or dinner consisting of lots of eggs, such as quiche. The name of the day Ostara comes from a maiden goddess. Ostara or Ostre is the the Saxon goddess of youth, fertility and beauty, who is accompanied by a hare. (Sass 2003) Her symbols are eggs and the hare which are already well incorporated into our traditions, although it is good to remember her with words at this time and consciously honor her through these symbols. Anna Perenna is my Mother Goddess for Ostara. She is the enduring year, the goddess of the promise of a new cycle. (Monagham 2014) We honor her at Ostara to give thanks for the promised return of spring, which is in our part of the world very heartfelt for everyone, and also to remember that the year will turn again, inexorably and always. We can make our quiche or other dishes this day round in honor of her. And because she is considered a trickster as well, we can plan April Fools pranks. The crone of Ostara is the Cailleach, the Celtic lady of chaos, harsh winds and primordial forces. (Greenfield 2014) We often have snow on Ostara, a last blast of winter coating our Ostara tree in white. The threat of weather disasters for our tiny seedlings is far from over and still keep them indoors at this season. The Cailleach is fearsome and a reminder that chaos can come despite Anna Perenna’s turning of the wheel. But she also lends us inner strength, a vitality and perseverance that is often lacking in the modern, overly convenienced world. She is also the Celtic equivalent of the crone of the cold season that our local legend bids a raucous farewell at Beltane, so it is fitting to have her in mind beforehand. We can honor the Cailleach by making a wind chime of feathers and metal objects that will bring her voice to the wind. Our Beltane celebration has been in my husband’s home village for many years now. The village has a huge bonfire and a fifty-food maypole. This tends to overshadow anything I try to do. However, I always get together some sort of flower-shaped sweets and May baskets for us to give to neighbors and cousins during the festivities. We sometimes go out to greet the beautiful Beltane morning and place offerings at the base of the maypole. Otherwise it is a community event involving cooking whatever will feed the most people. Ilankaka is the Nkondo maiden goddess for our Beltane. She is both creative and loving, but she also reminds us of the struggles of relationships, because she is captured by a man against her will and suffers great sorrow. (Monagham 1997) Beltane is a time of celebrating relationships and also making them better. The Maiden gives us the will to stand strong in ourselves as well and Ilankaka’s story is pertinent. Panchamama is a delightful Incan mother goddess, honored in an unbroken line by tribes in the Andes and is still going strong today. She is an earth mother, a garden goddess and a “special companion” for women. (Leeming and Page 1994) May is they primary gardening month in our climate, when everything is planted and weeds grow desperately to beat the short growing season. It is a month when my life is very domestic and I love the idea of honoring Panchamama at this time. The crone for Beltane might be Changing Woman. Her name in the Navajo language is Asdzan Nadleehe and she carries our ability to change within our lifetime, to be transformed and renewed at every age. (Loar (2008) There is a strong sense that Beltane is a time of when transformation is more possible, closer to the surface and a time to embrace the lessons of Changing Woman. One of the ways I would recognize these goddesses is to put small offerings symbolic of their traditions in the earth at the base of the Maypole. We could leave a bright stone of polished marble (symbolic of Ilankaka’s brigtht radiance), some colored wooden beads like those often used in the Andes (as a symbol of Panchamama) and either a feather or a piece of snake skin (as symbols of Changing Woman). I would ask for the blessings of these goddesses on Beltane morning—the strength and independence to be a strong and healthy partner with the energy of the maiden Ilankaka still vibrant in my married life, the deep earth connection of Panchamama (and her help with my garden), and the ability to transform beautifully as does Changing Woman. The Summer Solstice is the solar holiday we have the least tradition for in our family. We often do little more than have a nice meal and try yet again to explain to the children about solstices from a scientific perspective. I try to have a bonfire but it isn’t always possible, sometimes due to lots of rain. 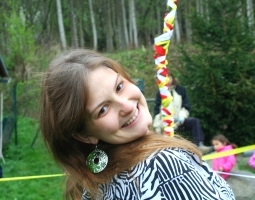 This year for the first time, we will go to a local Pagan event that is appropriate for children. I am still searching for traditions for this time. If I could choose it would be playing music and drumming around a fire or some other activity involving expression and creativity. Amaterasu is my Maiden Goddess for this time. She is often honored in June in Japan. (Monagham, P. (2014) To me her seeming narcissism is a reminder of the necessity of putting ourselves out into the world, particularly women and especially when we are young. Today’s world is not kind to those who remain too passive. For better or for worse, we need goals and pride in our identity if we are to find a material life and work which brings us joy and fulfillment. Placing a small mirror on a flat stone or sundial to reflect a bit of the sun back into the sky, may be integrated into a ritual for Amaterasu. Beiwe, the Arctic sun goddess, is the mother for this time. While the sun may seem too hot in many climates it is worth remembering that the northern climates need her warmth and life-giving energy. We are far enough north that even in the temporary heat, we have reason to see the sun as a nurturing mother. She can be honored by making “sun circles” out of leafing branches, (Monagham, P. (2014) and these could be placed around Amaterasu’s mirror. Al-Lat is the ancient Middle Eastern sun goddess to provide a crone for this height of the sun’s power. She may be integrated into the ritual with a black stone or an eye drawn onto the mirror. Lammas usually involves a camping trip or bonfire with friends, many of whom don’t share goddess spirituality, so my ritual celebration of the day is often quite simple. I like to make bread in interesting shapes and an outdoor altar if possible. I have a special tablecloth that everyone signs as a symbol of community and the feast. White Buffalo Woman is my Maiden goddess for this time. She is both warrior and generous benefactor. She supports the community and brings the deeper meaning to community festivities that I long for. Her lessons involve respect for ecology and the earth, honoring warriors and defenders of the clan, as well as the desire to give back whatever it is that fills us with abundance. (Greenfield 2014) A perfect symbol of White Buffalo Woman is a picture or figure of a white cow, calf or horse. Saraswati is the Mother Goddess for this time, sharing her knowledge as a teacher. The earth is abundant at this time, but the wisdom to use the gifts of plenty wisely is crucial. Saraswati is not only a mother of abundance but also a mother of wise counsel, teaching and learning. A good symbol to bring her blessings to the day is a book. Macha is the crone for this time of community and sharing. While White Buffalo Woman brings gentle gifts and fierce courage to the community and Saraswati brings the knowledge needed to nurture community, Macha embodies the energy of the activist for environmental and social justice, which is another important aspect of this day. Her energy be brought with a banner or sign with messages of the justice needed at the time. These symbols—a white animal, a book and a sign or banner—can be used to decorate the home or gathering of friends. This is a way to bring the healthy and beneficial energy of community together. At Mabon we gather our family and sometimes close friends for a meal of thanksgiving. We visit or send gifts to older people. We also give gifts to or do kind things for animals. In my family the primary focus of Mabon is giving thanks and recognizing those who have given to us—for example our elders through all the struggles they have been through to bring us to this time and the animals that provide us with food, clothing, comfort, friendship and a healthy ecosystem to live in. Tabiti is a maiden goddess of hearth, family loyalty, harmony in the home and the protection of animals. (Auset 2009) She is also associated with the chieftains of family and clan and with oath giving. MacLeod 1960). Coals from the hearth make a good symbol for her and reiterating the oaths of family bonds and other commitments is a good way to honor her. New oaths may be given at Mabon feasts as well. White Shell Woman is the Mother Goddess for Mabon. She watches over the crops and gardens that most directly sustain the family. She is a goddess of thanksgiving and the promise of light. (Hunt 2001) Both shells and corn are symbols of White Shell Woman. The best way to honor her is to give thanks for the many blessings we have, both material and immaterial. Even if we may still feel the lack of something, there is much to be thankful for, and gratitude brings many rewards. Asase Yaa is the crone for this time. A Ghanian old woman of the land, she reminds us of the hard work needed to get nourishment from the earth. We must honor the work of those who labor hard so that we might eat as well as the sacrifices of previous generations. (Auset 2009) A symbol for Asase Yaa might well be a shovel or other tool of toil. To honor elders and those who have worked hard is to honor her. One way to bring these energies together might be to allow each person in the gathering to say what they have to be thankful for in their lives. Each may throw corn or corn meal onto the fire as they finish speaking. Then each person could speak briefly of someone who they wish to honor, an elder or someone who has worked hard, and use a metal shovel to scoop out a bit of the embers of the fire. When the embers cool to ash, each person may state their oaths of family and community commitment, wet their hand with a little water and press it into the ash and then print their hand against a stone or wood surface prepared for this. These hand prints will then remain as reminders of the commitments made. With all the activities of Halloween going on, it can be difficult to get the family to focus for a moment on the spiritual side of Samhain. When my children were toddlers, they put out offerings for “Grandfather deer” and received small presents in the morning. We gave them candy and tried not to scold them for their many misdeeds on the basis of the concept that small children are “close to the ancestors.” Now as they grow older it is their turn to learn to give back and to honor ancestors as well. My Maiden Goddess for Samhain is the Norse sun goddess Sunna. She is connected to spiritual magic and the symbol of a sun cross. (Woodfield 2014) This would be an excellent time to make bind-runes to put on talismans (a bag, shirt, doorway plaque or jewelry) for whatever magical energies you want to attract. Both bind runes and rune divination would be a way to connect with Sunna. Oya is the mother of nine children and my Mother Goddess for Samhain. She is a bit dark compared to most mother goddesses. Her connection to hurricanes, the transformative number nine and strong emotions of rage or fear may be frightening to some but I quickly connected with this goddess. While it is not comfortable to face these emotions, allowing them to be expressed can bring healing. I don’t necessarily want to go through hard times again, but I know that Oya can also play a part in healing from traumatic experiences, ecological devastation and social injustice. (Caputi 2004) A wild wind on a dark Samhain night is the time for Oya. Dressing up in ways that express dark and powerful emotion may be perfect way to honor her. Baba Yaga is my Samhain crone. The contemporary stories that include her are scary enough to satisfy even secular concepts of Halloween. She is death, destruction and power, but she also grants wishes and punishes the unjust, the lazy and the apathetic bystander who tolerates injustice. (Greenfield (2014) To honor her we may make sacrifices in our lifestyle that help to redress imbalance or injustice or make commitments (Samhain resolutions of a sort) to work actively for justice and earth protection. Yule is already a very busy holiday for us. We have several cultures and an extended family to deal with. There are presents, big meals and various traditions happening every which way. Add to that the fact that we’ve been on a different continent away from home for two years but now we’ll be home, trying to reconstruct our home traditions. It is easy for the spiritual aspect to be overshadowed and almost impossible to hold any sort of small family ritual. The one thing we do always have is a Yule tree with decorations and usually a small scene of figures under it. This is one place where we can bring in the Goddess. I try to hold a brief dawn greeting of the sun with my husband and children on the morning of the Solstice. We usually also pull off a candlelight dinner the evening before with expressions of what we are thankful for and Solstice Tarot readings for the adults. It is into this part of the Yule celebration that I would like to bring some celebration of the Goddess. Usha, the Indian goddess of dawn, is my Maiden Goddess for Yule. Her twin sister is Night and they share the nursing of a child. They walk the same path, each in her own particular way. (Agrawala 1984).Her symbols might be a figure of an infant that is both dark and light or an infant wrapped in silk cloth with Indian designs. 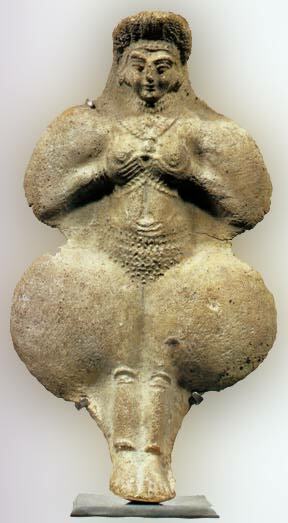 Ekhi, the Basque sun goddess (Sykes 2002) and motherly protector of humanity, is my Mother Goddess for Yule. She assures her children of hope and the eternal return of morning. She is a mother but is also born from the “reddish seas.” She reminds us of the need to stay a while in darkness in order to regenerate creative energy. She can be symbolized by a mother figure dressed in red or carrying a torch. Hekate is the Crone Goddess for Yule. She is a goddess of time, fate, solitude and witches, a mistress of the dead and “Keeper of the Keys to the Cosmos.” (Moss 2015) She can be symbolized by the figure of an old woman with a lantern or a key. Figures for these goddesses can be made out of clay or other materials and placed under the Yule tree. We can honor Ekhi at the candlelight feast on the eve of the Winter Solstice with poems of hope and thanksgiving for the promise of hope in difficult times. We can honor Hekate during the late night ritual of Solstice Tarot readings, lighting a candle in a small lantern. We can honor Usha at dawn when the sun returns. Daimler, M. (2016). Pagan Portals - Brigid. Winchester, UK: Moon Books. Shaw, M (2006). Buddhist Goddesses of India. Princeton, NJ: Princeton University Press. Sykes, E. (2002). Who’s Who in Non-Classical. New York, NY: Routledge. This is my absolute favorite time of year. Not all of the spring. Just this time when spring has really come, the sun is bright and warm, but the earth hasn't quite realized it yet. Only the very earliest flowers are blooming where I live. No dandelions yet. Just lungwort, chickweed, violets, maybe buttercups. It is also the time when I was born, so maybe I'm pre-programmed to love the early middle of spring. Rain comes but it is soft and usually short. The sun peeks through holes in the multicolored clouds and mist lies gentle on the land. It is a time when there is a fair amount of work in the garden, but I never mind it at this time the way I might grumble at other times of the year. Now I'm still purely grateful to be outdoors. The air is always sweet and clean, even in industrial Bohemia. Early spring is a time of beauty and the anticipation of even greater blossoming. Anticipation is often sweeter than the real thing. Anticipation of spring blooming doesn't entail ticks or stinging nettles for one thing. It's still too cold for them. I have a quote for today that has been sitting on my mantel and inspiring me for the past few days. The words were said by Sitting Bull to his warriors at some point in the 1800s during his long fight to protect his home and family. Behold, my friends! The spring has come. The earth has received the embraces of the sun. Ostara is one of my children’s favorite holidays. Even as toddlers they remembered the experience of hunting for eggs from one year to the next. One of our other family traditions is decorating a plum tree in the front yard with blown eggs, something that a few people in Bohemia still do as part of their Easter traditions. While I do love Ostara, it is the time of year when the issue of being Pagan in a Christian-majority society comes to the fore. I would say that it's a greater issue for me at this time of year than it is at Yule. At Yule the Christmas holiday comes so quickly that it is easy for children to understand the connection and not get confused. They easily realize that some people say Yule or Solstice and some people say Christmas or Hanukkah and these are essentially similar holidays with different names and somewhat different traditions. We usually have our main Yule celebrations around the Solstice and then go to the Czech grandparents' place for a secular Christmas celebration that ties in nicely to a "twelve days of Yule" approach. But with Ostara things get a bit more complicated. Whether we're in Oregon or the Czech Republic it's rare that Easter falls anywhere near Ostara. If my kids talk about hunting for eggs outside of the family, they are often told that they are doing it at the "wrong" time or that they are "mixed up." We have our celebration anyway and even try to invite neighborhood children for an egg hunt if we're in the Czech Republic, where people don't normally do egg hunts. Then when Easter comes my kids want to repeat the process because they hear that other kids are painting eggs again, by which time I am usually sick of egg painting and hiding. The neighborhood parents usually come around asking if we can show their kids "that American Easter tradition with the egg hunt" even if we already did one at Ostara time. I have yet to come up with a satisfactory solution to this dilemma. On the one hand, I'm adverse to doing things "just because" that's the way society does it. On the other hand, I could just stop struggling and have the egg hunt on Easter or I could do two. It won't kill me. Some years I have done our private egg hunt and tree decorating on Ostara and then a neighborhood event on Easter, while mumbling something to my kids about how Christians celebrate Easter later in connection with the cycle of the moon as well as the sun, which is in fact true. But one year this came right before Beltane and it really was a bit confusing to the kids. Besides that, I simply feel that it weakens our family traditions to have outsiders question what I do and tell my kids that it is "wrong" or "mixed up." The fact is that our Pagan tradition has a very simple, reasonable explanation. It's tied to the clearly observable seasons of the year. It can be celebrated merrily by my atheist husband because you don't have to believe in a deity in order to honor nature and be glad that its spring. The most essential thing to me is that I want my children to have a tradition beyond the electronic, commercialized modern world... any tradition really. I grew up in an age when it was assumed that there were "ethnic groups" who had traditions. And then there was everyone else (i.e. white people) who are boring and soulless and have no real traditions, except church which only sort of counts even if you're Christian. And we weren't even that. Some young people struggle more than others with the issue of "identity" and I struggled quite a bit. I was raised with earth-based spiritual beliefs, but my parents never used and still don't use the word "Pagan." Our beliefs were unnamed and usually swept to the side whenever a stronger societal, secular tradition like Easter or Christmas intruded. I ended up feeling like what we believed was somehow "fake" or "made up." In fact, when I tried to explain my beliefs to friends in my late teens, those are the words they used. The first time I heard about Neoaganism was from Wiccans at collage and I didn't immediately understand that they were fairly close to what we were. They had a name and a clear tradition and the strength of numbers. I wanted to be part of it but I didn't want to "give up" what my family believed and it took ten more years before I realized that we weren't nearly so alone as I'd thought. Then when my first child was a baby I read a book called The Heart of a Family, which I highly recommend to anyone who wants to raise resilient children in the modern world, whether you follow Pagan, Christian or any other spirituality or philosophy. The book contains a wealth of practical ideas, including one I'll describe in detail when Lughnasadh comes around. But more than the specific ideas for building family traditions in whatever culture or religion you happen to be in, it gave compelling and research-based reasons for what I had always intuitively known - that family traditions and identity are very important to kids, even crucial to a grounded and resilient self in young adulthood. One of the most powerful passages in the book sites studies and empirical evidence that shows that the practice of strong family rituals (i.e. traditions that are repeated consciously, not necessarily spiritual or magical rituals) is the most important factor in determining which young people can navigate the self-destructive perils of modern society safely. The studies found that the consistent use of family traditions and rituals was more strongly correlated to good outcomes for young adults when it comes to avoiding problems like substance abuse than economic or social class, single or two parent household status or any of the other factors we tend to think of as so important to raising kids. In short, the conscious practice of family traditions is like a protective shield that you can give your children. It gives them a place to start and the language to express themselves. They may choose to forge new traditions or to carry on your traditions, but whichever they choose it will come from a place of strength. So, this is why I insist on Ostara traditions, even though society makes it awkward. I can't fully celebrate Easter with a clean conscience. I"m not Christian and simply commercializing it into a secular holiday does no one any good. Ostara truly does mark the beginning of spring in our climate. There is reason to celebrate and the themes of fertility and new life serve to connect us to the natural world. That is essentially one of the reasons I think neo-Pagan traditions are so strong, because without conscious effort it is so easy to live in artificially heated buildings in this age and barely notice the changing of the seasons, let alone the phases of the moon. So, for us to celebrate Ostara is a truly necessary and practical part of connecting with the earth and raising children who have a deep intuitive sense of that connection rather than a merely intellectual understanding of the seasons. Ostara crafts usually center around eggs, rabbits, rainbows, plants and babies, whether animal or human. Eggs are the obvious and ancient symbol of fertility in too many cultures to name. The rabbit appears to come from the Germanic tradition of the goddess Ostre, who's sacred animal is the hare. The hare is also closely connected with the moon in many cultures. There is a lot more you can do with eggs than you might think. Beyond dying boiled eggs with natural food colorings (tumeric = yellow, beets or red onion peels = red, purple cabbage = a clear beautiful blue), we also paint blown eggs with acrylic paint so that we can hang them on our plum tree outdoors and not have them washed off by the rain. In Central and Eastern Europe there are extensive traditions involving coloring eggs in fantastic patterns. Many of these techniques involved dying the eggs in layers while keeping bits of the previous layers from the new dye with wax. I am not a skilled enough artist to do these with any great skill but they are fun for experiments. Two other simple crafts involve the failed attempts to blow eggs. If you do blown eggs and you accidentally break a few, don't worry and don't throw the shells away. All you need is half or three quarters of a shell. Make a ring out of paper as a stand. Then place a bit of candle wick in the bottom of your egg and pour heated wax or even melted crayons on it and you have a beautiful Ostara candle. Or if you would rather, fill the egg shell with a little potting soil and grow lettuce or herb starts in them. What could be a better symbol of new life than tiny plants growing out of an egg shell? If you crack the shell afterward you can plant it directly in the garden that way. All of this egg decore is good for alters and tables. Another fun Ostara craft involves using the egg shape of a balloon. If possible put a piece of chocolate or something pretty inside the balloon. Then blow it up. Then dip pieces of yarn in a mixture that is half water and half glue with some flour added and drape these around the balloon until it is completely covered with intricate webs of gooey yarn. Leave this to dry. Pop the balloon and you should have a beautiful egg shape with a surprise inside. We usually also make rainbow wands by simply attaching pieces of rainbow-colored tissue paper to the ends of sticks and letting the kids wave them around wildly. We often make some sort of paper hare and various other baby animals, sometimes as window art to put up to brighten the still muddy view outdoors. It’s still all about eggs. Well, given that a lot of eggs get used in the crafts, it only seems reasonable that one should eat them. We’ll make quiche and pudding at the very least. I usually also manage to make a risoto that is packed with the earliest nettles. If I am feeling particularly enthusiastic, I get out the one hare-shaped cookie cutter and make simple lemon-zest Ostara cookies. However, the kids mainly associate Ostara with the chocolate found during their egg hunt, so I am unlikely to be able to create any lasting impression with my seasonal cooking. Ostara isn't a big time for rituals in our family. Between celebrating in a kid-friendly way and all the activities of early gardening we are already steeped in the season and the energy of new life. This is one of those times when our spirituality is simply so intertwined with the practical necessities of life that it is inseparable. I do small blessing and fertility rituals to get our garden beds off to a good start but these are rarely done specifically on Ostara. Instead they are part of the season and are done whenever I happen to be able to dig into the dirt after the ground thaws. This year that has already happened but some years it doesn't happen until after Ostara. The main attraction of the holiday is a decorating the outdoor plum tree and the egg hunt for the children. My kids love to dye eggs but they also love to find chocolate eggs. I do not love to have them eat the horrible, fake chocolate tainted with metal that comes in the tinfoil wrapped chocolate eggs from the store. So, instead I have acquired a stash of plastic eggs that I keep hidden in a deep dark drawer. I pull these out on the night before Ostara and put good quality chocolate candies in them. Then I have the magic moment of getting up early on Ostara morning to hide the boiled eggs and the chocolate-surprise in the first morning dew, while communing with the first fairies, sprites and nature spirits of the springtime. When the kids get up they can then run outside and gather them up int heir baskets. We decorate the plum tree later on by hanging blown eggs by yarn or ribbon from the branches. Each year some of the eggs get knocked down or broken so this is not a place I put any particularly precious painted eggs. Beyond that there is almost always some planting of garden beds and starts at Ostara or during the nearest weekend. The kids will have their own little garden bed that they haphazardly plant, weed and water with variable success. You are invited to join my hearth-side email circle. This is an intimate group of readers who enjoy the occasional virtual cup of tea in the form of a brief snippet of real life along with the latest links to posts on my blogs. This is my protected, spam-free corner of the internet, so that is all you will receive. Welcome to my fire. Thank you for joining my email circle. Welcome to my fire. Here is our first video showing the hands-on approach to Pagan seasonal festivals with children. This video covers Samhain through Ostrara and gives specific ideas of what a family with preschool-age children can accomplish. We are eclectic and follow no particular rigid tradition. Happy watching. This video is appropriate for all ages. Please note that my fiction is not aimed at children. The Soul and the Seed is a contemporary fantasy thriller with Pagan leanings. I recommend it for ages sixteen and up due to intense content, including some realistic violence. I hope Pagan readers will enjoy these books but I urge parents to be cautious about recommending them to children.